Snow plows and de-icing operations at Vancouver International Airport have been enacted since Sunday’s snowfall, but airport officials say they are experiencing some staffing shortages due to the road conditions. 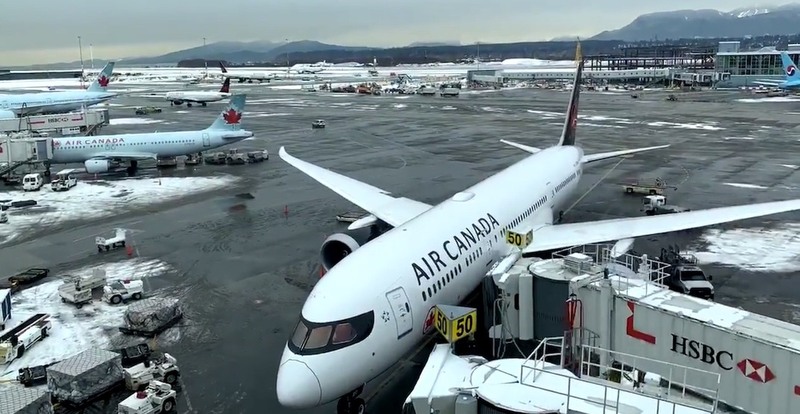 Vancouver Airport Authority says poor road conditions across Metro Vancouver has impacted the ability of some of their employees to get to the airport, and this is particularly affecting security screening. As a result, passengers are encouraged to allow extra time for getting to the airport, checking in, and clearing security. Passengers should also check with their airlines for current flight timing and status before coming to the airport. The runways are clear from overnight snowfall accumulation, and currently the runway conditions are bare and wet, which is optimal for takeoffs and landings. Crews are continuing to work at clearing taxiways and aprons. But conditions could quickly further deteriorate over the coming hours; Environment Canada issued a new snowfall warning this morning, with the expectation that snowfall will return beginning this afternoon and continue through at least tomorrow afternoon. Up to 15 cm of accumulation can be expected during this period. The Expo Line and Millennium Line struggled to remain operational yesterday and during this morning’s rush hour. The Canada Line has operated normally so far, apart from a brief service shutdown for about 90 minutes last night between Bridgeport Station and YVR Airport Station due to a snow-related track issue.